Finding the right treatment for your nails can be a minefield, so we’ve created six Treatments to help you treat, nourish and strengthen your nails. Each of the Treatments has been designed to be used on either natural nails, or both natural and gel polish, read on to find out more. The 8-In-One base coat is a dual use product and can be used as either a treatment or a base coat. Rich in antioxidants, the product promotes healthy nail growth, strengthens, conditions and protects. To use as a Treatment, apply two coats twice a week. To use as a base coat to your nail lacquer, apply one coat to your natural nails allow to dry and then apply your nail lacquer. Use with: Natural Nails & Nail Lacquer. NAIL ABC - Lacquer VS Gel Polish: Nail Lacquer is a polish which is does not need to cure under a light in order to dry. Gel Polish requires curing in order to dry. A maximum strength cuticle oil, Cute-Icles Friend enhances the look and feel of your cuticles with this gel formula. 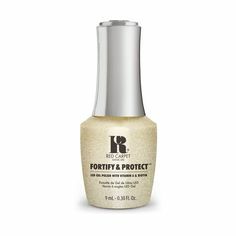 Nourished cuticles protect your manicure, for longer. Apply to the cuticles and massage in. Apply daily, or with polish changes to rehydrate and nourish the cuticles. Use with: Natural Nails & Gel Polish, or nail extensions. We all want long lasting manicures, Celebrity Secret ensures your manicure is life proof. 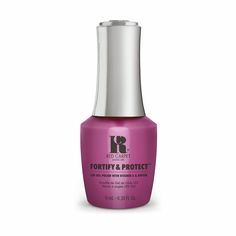 Celebrity Secret’s proven formula prepares the nail prior to nail lacquer application and works well with the 8-In-One Base Coat. Apply one thin coat to each nail prior to your base coat, or nail lacquer if you’re not using a base coat. Our cuticles come under a lot of pressure with constant polish changes, this cherry scented wonder is your solution to dry, cracking or torn cuticles. The Hyper Hydrator’s antioxidant cocktail hydrates and cares for damaged cuticles. Apply to cuticles and massage in as preferred. Apply daily, or with every polish change. Our nails are made up of layers of protein, our R&R Protein Therapy protects your nails from constant nail lacquer changes. The exclusive protein rich formula protect nails from breaking, and strengthens brittle nails. Apply one coat once a week alone, or under your chosen nail lacquer. Perfecting nail art can be a long process, applying Over Polish Guard on the skin surrounding your nails allows you to get the perfect finish. Over Polish Guard is peeled off after you’ve finished your nail art, leaving a clean edge on your nails. Over Polish Guard can only be used with nail lacquer. Apply the Over Polish Guard to the skin surrounding your nails, up to the nail edge then apply your nail art. If any polish gets on the skin with Over Polish Guard you can just peel it away once you’re done.